Ideum announces the world's first Ultra High Definition 4K (UHD) coffee table. This 4th generation redesign of our iconic coffee table now comes with an expansive, 55-inch display. Ideum is pleased to announce the world’s first Ultra High Definition 4K (UHD) coffee table. Sleek, attractive, and ready for any environment, the 4th generation redesign of our iconic coffee table raises the bar for multitouch solutions. 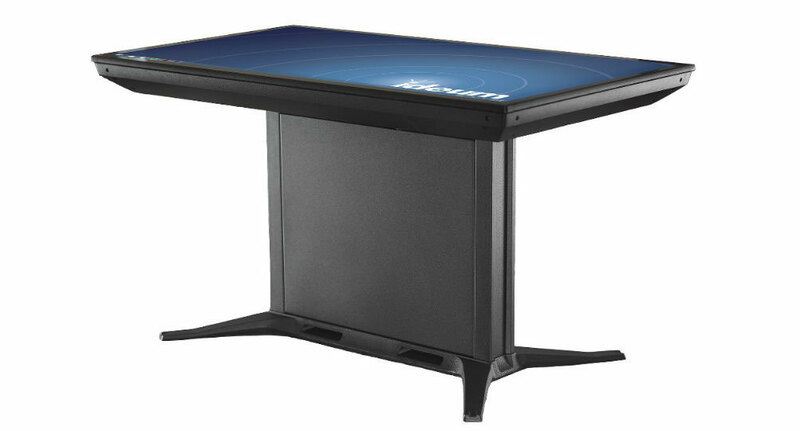 Available with 43″ and 49″ displays, the 55” coffee table features an expansive screen that uses 3M projected-capacitive (PCAP) technology and can comfortably support up to 4 users. 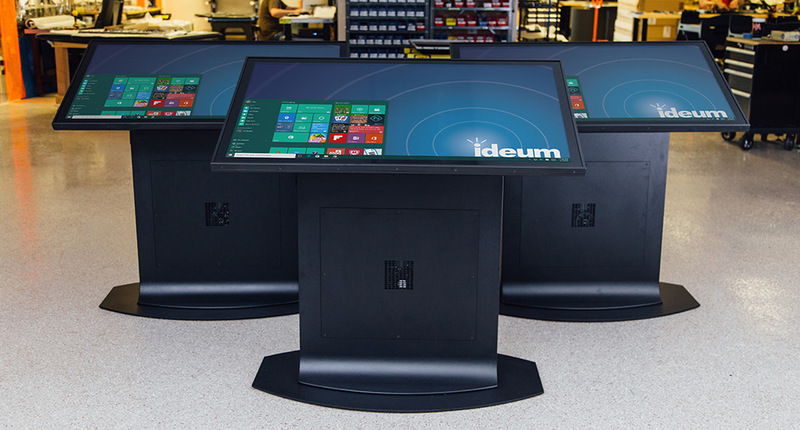 3M™ PCAP technology is now used in all of Ideum’s 55” and 65” multitouch displays and has several advantages over other touch systems. Since it is a conductive surface, it is not affected by interference from light, and only hands (or a stylus, or special conductive materials) can register as touches. Which means magazines, books, and of course, coffee cups, won’t disrupt whatever you’re doing on the screen. And, like all of Ideum’s products the 55” coffee table is built for demanding environments—the surface is water and dust resistant, and the chassis is made out of aircraft-grade aluminum and comes complete with lockable ports to ensure security. The Ideum 55” coffee table is a fully integrated system equipped with a powerful Intel® Core™ i7 quad core computer and single push-button power. 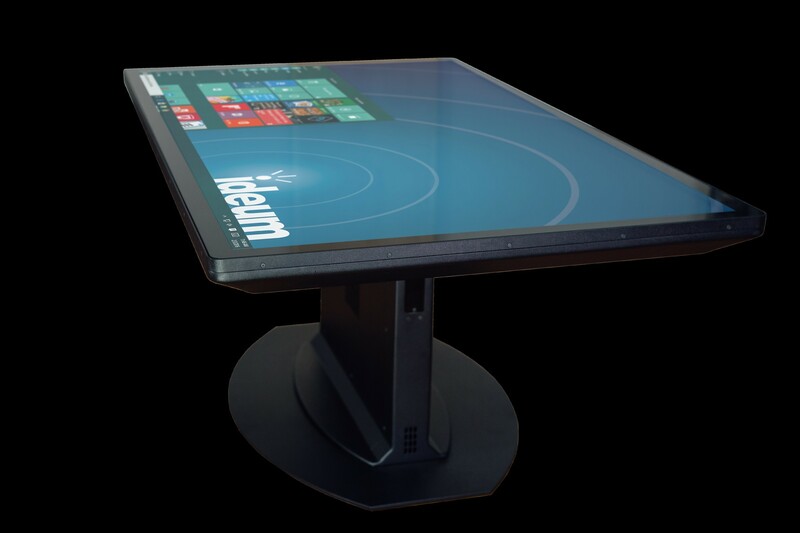 With its robust computer and superior 3M touch screen technology, the 55” coffee table supports Ideum custom software solutions, including Ideum’s proprietary fiducial software. With its full-size, discrete NVIDIA graphics card, apps look better than ever. 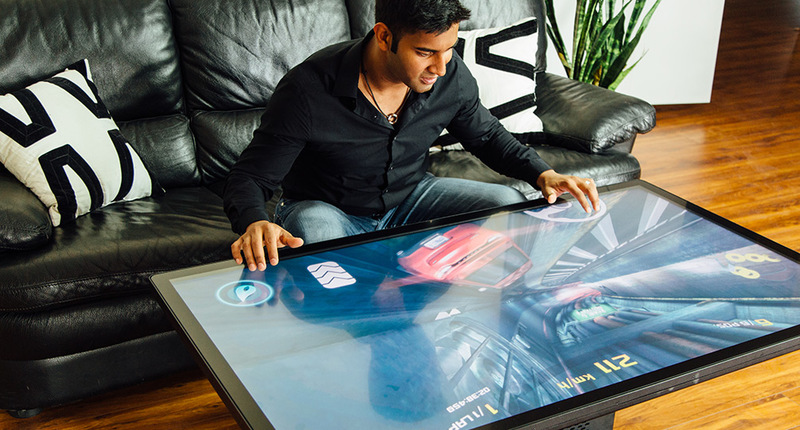 The 55” coffee table can be purchased with Windows 10, and will be available with support for Android later in 2016. To learn more about Ideum’s 55″ coffee table, Download the spec sheethttps://ideum.com/spec-sheets/Ideum-Specs-Duet.pdf.